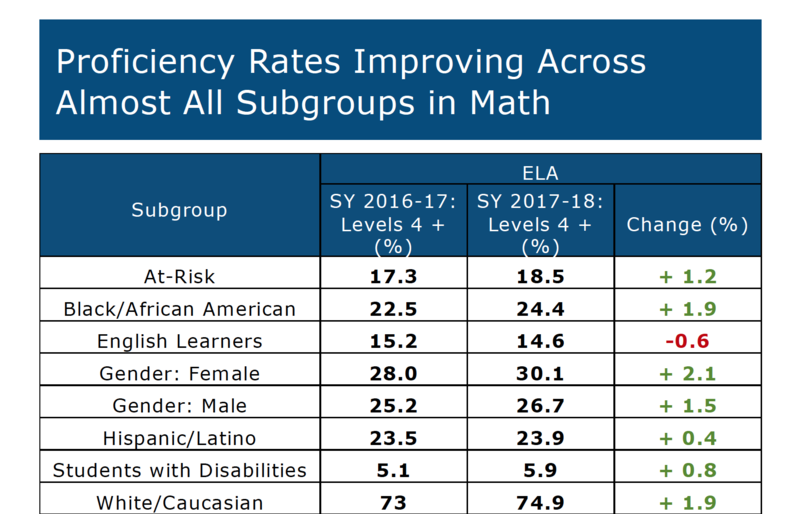 Students at DC public charter schools are continuing to improve on the Partnership for Assessment of Readiness in College and Careers (PARCC) test. 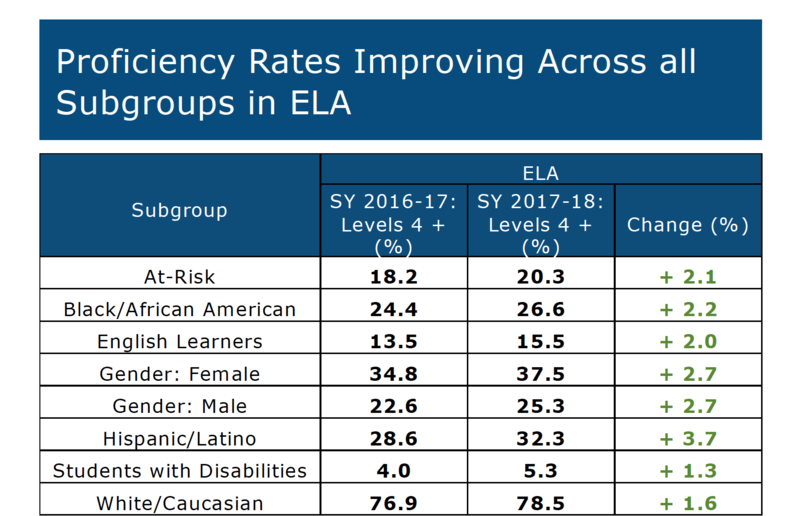 Public charter students increased by 2.7 percentage points on the English language arts (ELA) assessment and by 1.8 percentage points on the math assessment. 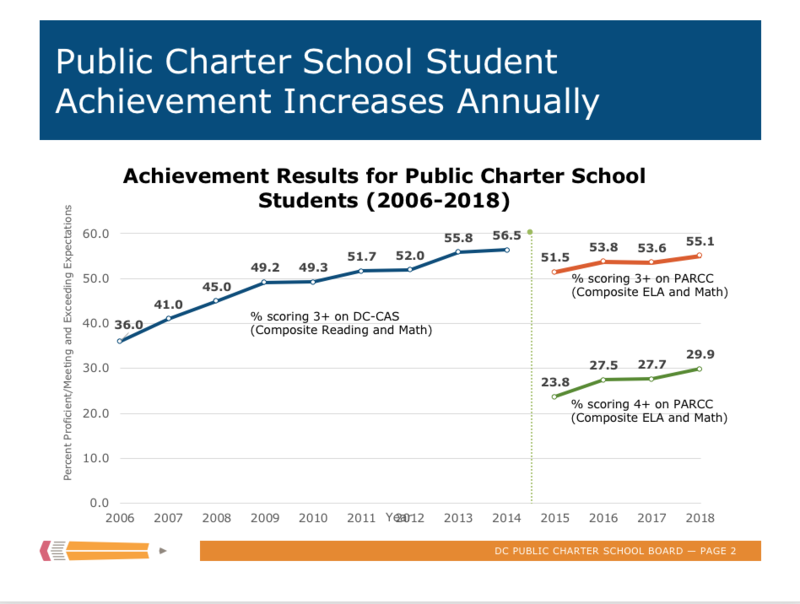 For more than a decade, public charter school students have shown steady improvement on the statewide assessment, first on the DC-Comprehensive Assessment System (DC-CAS) and now PARCC. This presentation was delivered during the press event. 2018 School Results are available on the website of OSSE.